Address a range of skincare concerns and needs with 100% Natural Australian Jojoba Oil from The Jojoba Company, from extreme dryness to redness and inflammation. Suitable for all skin types, the versatile treatment is the perfect base for any home remedy kit, working to produce a wax that is similar to skin’s natural sebum for deep penetration and maximum efficacy. 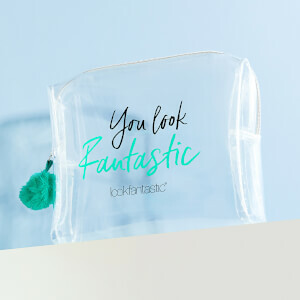 Brimming with antioxidants, essential fatty acids and vitamins, the lightweight formula quickly penetrates skin without feeling greasy – as it isn’t actually an oil – and works to soothe, nourish and intensively moisturise. Ideal for chapped lips, rough cuticles, stretch marks and dry patches anywhere on the body, it keeps skin feeling smooth, plump and hydrated with long lasting results. 100% Natural Ingredients. Naturally antibacterial, antiviral, antifungal, analgesic, anti-inflammatory and hypoallergenic. Simmondsia Chinensis (Jojoba) Seed Oil*. 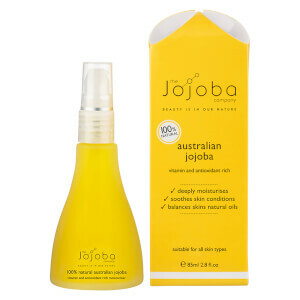 *100% Natural Australian Jojoba. Προσθέστε 3 προϊόντα της μάρκας στο καλάθι σας και το φθηνότερο θα σας το κάνουμε δώρο. Η τιμή του φθηνότερου προϊόντος θα αφαιρεθεί αυτόματα από το καλάθι σας.